Adventures in Odyssey should not exist. Every law in the known universe declares its continued existence impossible, but Adventures in Odyssey defies the odds and keeps going. That, ladies and gentlemen, is amazing. 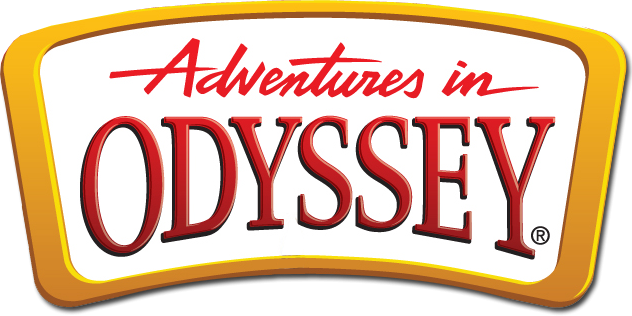 Adventures in Odyssey is an original radio drama: an artistic medium that has been driven nearly extinct by films, television and the Internet. More importantly, it’s a Christian program that’s really, really good. I don’t mean to be uncharitable, but overtly Christian media is sometimes kind of awful. Christian video games stink. With a few outstanding exceptions—Gilead and Peace Like a River come to mind—openly Christian novels tend to be sappy, trite or one-dimensional. Much contemporary Christian music is horrendous. Religious films are often produced on a very low budget. To wit, Christian media tends to be preachy, shoddy or simply bad. Adventures in Odyssey is none of these things. Everything about the show—the writing, the music, the acting, the editing—is excellent. Did I mention the show, which has aired more than seven hundred full episodes, has been running for more than twenty-five years? Odyssey is a little town in America; its exact location is the subject of much speculation. (At least one writer on the show has suggested the town moves around like the island from Lost.) The town’s most famous attraction is Whit’s End, an establishment for kids run by a middle-aged inventor named John “Whit” Whittaker and frequented by a colorful and ever-changing cast of characters. One of my favorite things about Adventures in Odyssey is that it transcends genres. In one episode, an ordinary seminary student struggles to survive his studies. In the very next episode, a government spy is tracked to Odyssey by terrorists hellbent on weaponizing a deadly virus. No other story I’ve ever read, seen or heard ventures into so many genres, and Adventures in Odyssey does it with effortless aplomb. Detective story? Sketch comedy? Spy thriller? Teen drama? Historical fiction? Adventures in Odyssey covers them all, often resorting to clever tricks like flashbacks and stories-within-stories. One of the cleverest aspects of the show is the Imagination Station: an invention of Whit’s which is sort of like a cross between the TARDIS from Doctor Who and the virtual world from The Matrix. Basically, the Imagination Station lets a person (or several persons) enter a virtual adventure based on an event from history. This plot device allows the show to tell stories beyond the modern-day town of Odyssey, from the lives of Old Testament prophets to the battles of the American Revolutionary War. Then there are the characters. Dash it, there are the characters. “That’s a funny name,” remarks a kid meeting him for the first time. “Your parents were Old English?” demands the kid. After the incomparable Father Brown, Wooton Bassett is my favorite character in fiction. He surpasses even such legends as Atticus Finch, Jeeves, Anne Shirley and the Doctor in my esteem. I was incredibly honored when Paul McCusker, veteran Adventures in Odyssey writer and creator of Wooton Bassett, agreed to write a great guest post for this blog. Wooton is a mailman, toy collector and huge fan of the highly successful PowerBoy comic series (which he secretly writes). He can play “Camptown Races,” and only “Camptown Races,” on a vast number of musical instruments. Wooton also furnishes his house with refurbished junk and produces such culinary wonders as popsicle cakes and jellybean casseroles. In everything, he acts with cheerful exuberance and perfect kindness toward everyone. Wooton Bassett is, in absolutely the best possible way, freakishly strange. I wish he were my next-door neighbor. Adventures in Odyssey is full of fascinating characters: Eugene Meltsner, the socially awkward genius; Harlow Doyle, the incompetent private eye; Bernard Walton, the pessimistic, sarcastic window washer; and, of course, Whit himself. The show does a fantastic job of depicting nuanced characters. I once read a blog post by a nonreligious listener who loved Adventures in Odyssey and appreciated the respectful way it handled issues like agnosticism. Eugene Meltsner, a religious skeptic, wasn’t stereotyped or demonized, but developed with the same believable mixture of virtues, flaws and lovable quirks as the other characters. To sum up: Adventures in Odyssey is awesome, and I wish there were more eccentric, toy-collecting, comic-obsessed mailmen in my life. In case you’re interested, Adventures in Odyssey has a website where many episodes can be heard online. This entry was posted in Faith and tagged Adventures in Odyssey by Adam Stück. Bookmark the permalink. My brothers and I still quote AIO episodes from 20-some years ago. It was on around dinner time, and we got annoyed when my parents would talk during the meal and disturb our listening. And now my children listen to newer episodes on the iPod. Good stuff, that AIO. My family quotes quite a lot of AIO… among other things. I remember listening to a few AIO episodes on the radio when I was a kid. We also rented the video tapes from our church’s library. Gosh, such good times. Methinks I need to relive my childhood soon. AIO is pretty much my entire childhood, along with ramen noodles and Legend of Zelda games and the books of James Herriot.